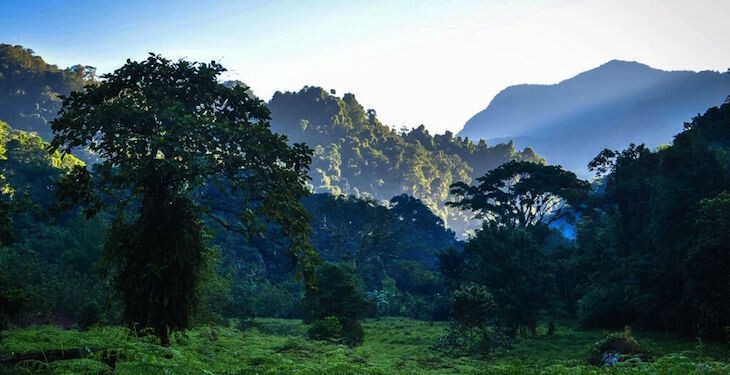 Discover the Lost City of Colombia as you embark on a journey through its lush forests and beautiful mountains. This 8-day trekking and cultural expedition begins in bustling Bogotá, where you can take a walking tour of the city and check out the local markets. Hop on a flight to Santa Marta, poised beautifully on the azure Caribbean coastline, before embarking on your quest for the Lost City. 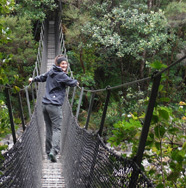 Spend five days trekking below a brimming jungle canopy, pausing to admire waterfalls and panoramic vistas of soaring mountains. Wind your way along the meandering Buritaca River, and take ample breaks to swim in its crystal clear pools. Step into the enduring traditions of the Kogi people as you reach the palm-thatched huts of Mutanshi. You'll be pressed to contain your amazement as you take in the stone ruins of the Lost City. 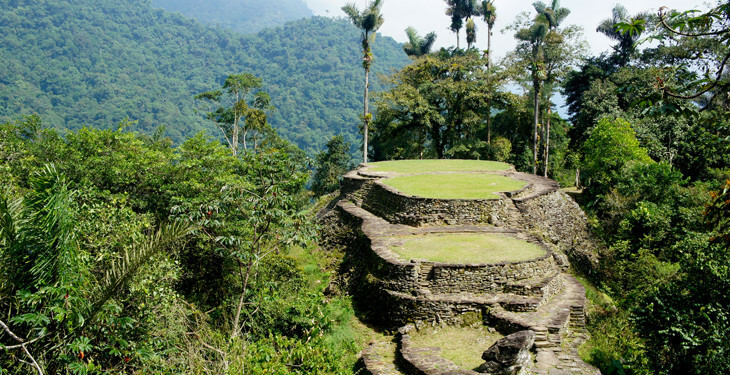 Also known as Teyuna or Ciudad Perdida, the Lost City dates back to the first millennium AD, encompassing a network of skillfully carved terraces, plazas, and stone roads surrounded by thick rainforest. Punctuate your adventure with a celebratory dinner in Santa Marta, take your flight back to Bogotá, and bid farewell to this magical country. OneSeed Expeditions also offers custom departures for groups of two or more (see FAQ for more information). 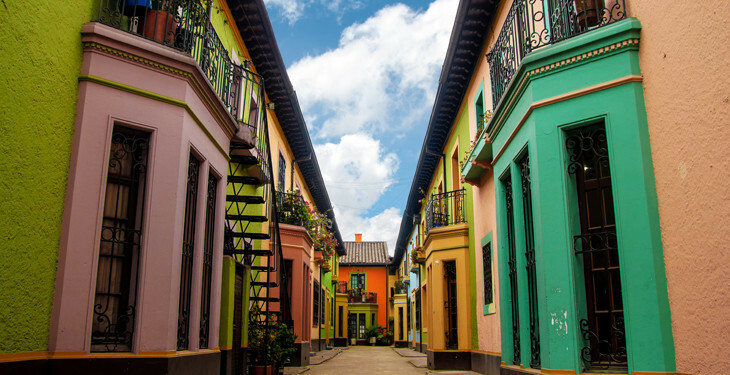 Arrive in Bogotá, where a OneSeed staff member will greet you and take you to a partner B&B. Take the afternoon to explore the city on your own. Today head out for a tour of the city with your local guide. Visit the old city, learn about Bogotá’s extensive graffiti art scene, and visit the local markets. Join your fellow OneSeeders for a welcome dinner, where you'll get the chance to try some of the local cuisine. The adventure begins today! Wake up early to catch the first flight to Santa Marta, a beautiful Caribbean beach town and the oldest city in Colombia. Drive three hours to the trailhead and begin the trek to the Lost City. 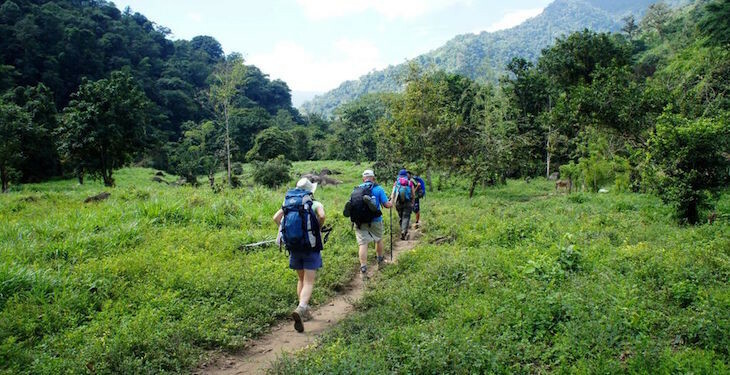 Enjoy the first sights and sounds of the jungle as you hike through this lush area before setting up camp for the night. Continue your trek through the jungle. Pass by the indigenous town of Mutanshi and marvel at the well-constructed jungle huts that make up the town. There are plenty of opportunities to take a dip in a cool, clear stream along the way before having the evening to relax and rest your legs. After a hearty breakfast, follow along the ancient trail that leads to the Lost City. 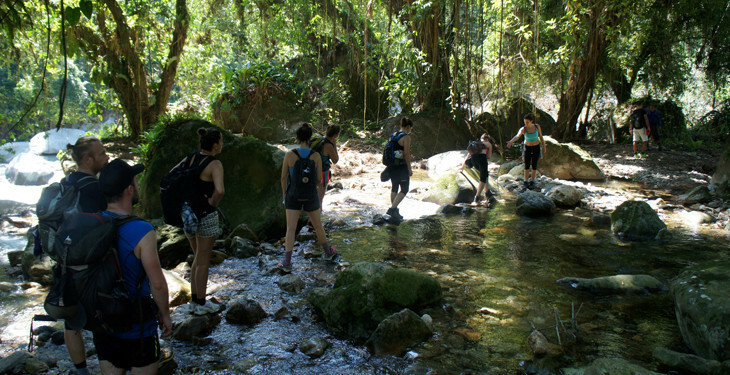 Cross the Buritaca River nine times as you continue the ascent. Begin the day with a leg burner as you climb the 1,200 steps that lead to the Lost City. Learn about the history of the ruins as your guide shows you around. Enjoy solitude and stunning views as you try to imagine what the city would have been like when it was built in 800 AD! Continue the descent toward Mamey and enjoy a final day under the lush canopy. Meet the 4WD vehicle that will take you back to Santa Marta. Join your fellow OneSeeders for a final dinner to celebrate your accomplishments. Catch a mid-morning flight back to Bogotá and conclude your expedition by 12:00 pm. We went on the Colombia expedition to Ciudad Perdida. It was a tough trek...really looked forward to that beer and arepas at the end of the day. The trip was well executed by the OneSeed staff and was the experience of a lifetime. The entire trip was incredible. In addition to providing a safe, fun, affordable trip that ensures direct social and economic benefits to the local communities, OneSeed created opportunities to experience the culture and develop relationships with local people. OneSeed has excellent resources and tips for planning a trip on their website. In addition, they were super responsive to all the follow up questions that we had about planning the trip. I am planning another trip with OneSeed next year! I'm usually a solo adventurer. I prefer going off the beaten path and rarely sign up for group tours. I was impressed with how they ran everything from the moment I signed up on the site until they dropped me off at the airport. They're a new company and working very hard to take care of all the details and make you feel taken care of and comfortable while providing a great adventure. Yes! All departures are guaranteed! 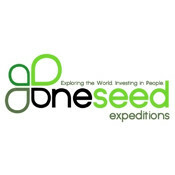 However, please do not make travel arrangements until you receive confirmation from OneSeed Expeditions. What is the best way to get to the trip start location? What should I consider when booking my flights? Fly into El Dorado International Airport in Bogotá, Colombia (BOG), where you'll be met and transferred to your bed & breakfast. When selecting your flights, be sure that your departing flight on Day 8 does not depart until after 2:00 pm. What does the 10% investment to local community (included in my trip cost) go toward? OneSeed invests 10 percent of their revenues in trusted local microfinance banks which provide affordable loans to women living in poverty. 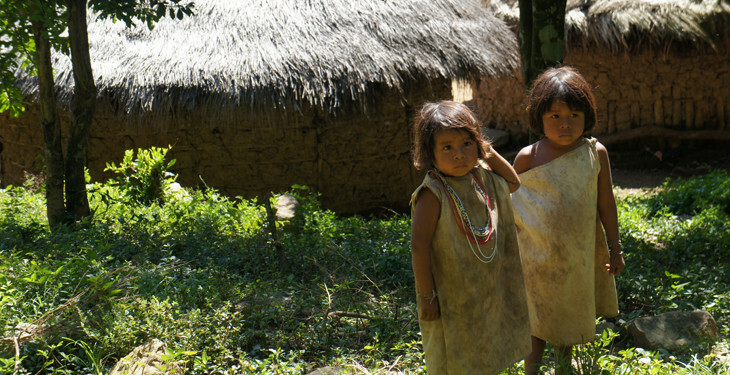 When you travel with OneSeed, you are investing back into the local communities you visit. This adventure has a difficulty rating of intermediate. Expedition difficulty is determined by number of hours walking per day, elevation gain, trail quality, etc. Intermediate adventures require that you are at the least at an average fitness level. Activities will be mandatory and occasionally physically demanding. Experience with trekking is not necessary. This is a great first trek and a perfect fit for people looking for a challenge without daily exhaustion. Typical days (depending on the particular itinerary) range from 3 to 7 hours of trekking. Elevation gain will be gradual and the pacing is reasonable for people with a bit of hiking experience. It is a good idea to prepare for the trek with training hikes of similar distance or other aerobic activity. Make sure to break in your hiking boots before you go! Pricing is based on double occupancy (shared rooms) in OneSeed partner hotels / bed & breakfasts (2 nights in Bogotá and 1 night in Santa Marta), as well as 4 nights of camping during your trek to Santa Marta. On the trail, you'll be sleeping in an open-air basic shelter with shared dorm-style bunk beds and nearby bathroom facilities. Mosquito nets are provided as are sleeping pads. A comfortable sleeping bag and earplugs are highly recommended! These overnight stops are a great place to meet other travelers, take a refreshing shower, or have a beer after a long day of hiking. Just don't forget to bring a little extra cash for beverages and snacks. If you are a solo traveler, you'll need to pay a $200 single supplement to OneSeed Expeditions for your own room. The weather in this region is warm and wet year-round. It is the jungle! With the average highs in the upper 80s, having streams to jump into periodically will be a nice treat to cool you off during your trek. The lows in the evening tend to stay in the upper 60s, which is why a warm sleeping bag is not needed for this expedition. Because the Lost City is at 3,937 feet, temperatures are a few degrees lower than in Santa Marta. How does the luggage portage service work? This trip is self-carry as the packing list is minimal and bags are light. You'll be responsible for carrying your personal clothing and items but you won't need to worry about carrying group equipment such as shelters, cooking utensils, etc. Your guides will take care of those items in order to keep your load at a minimum. You may leave any luggage or clothing not required on the trail in storage at your hotel in Santa Marta. While on the trek, all meals are included. During your time in Bogotá, a few meals are at your own expense, see the itinerary for details. Food on the trail is rich in carbohydrates and protein since you'll be burning calories like a champ. Breakfast on the trail may include toast, eggs, bacon or sausage, fresh fruit, and coffee. Lunch is always a sit-down meal that may include fried chicken or fish, fried plantains with beans and rice, or slaw salad. Dinner may include meals like fried chicken or fish, fried plantains with beans and rice, pasta and red sauce, slaw salad, and fresh fruit. OneSeed is able to accommodate most allergies and dietary preferences, vegan travelers may wish to bring extra protein bars. You are responsible only for personal clothing and gear listed below. OneSeed will take care of everything else. A gear check will be completed before you depart for the trail. This list does not include additional clothing/items you may want for travel or for your time off the trail. Any luggage not needed on the trail can be left at the hotel in Santa Marta during your expedition. This expedition does not include porters, so you'll be responsible for carrying all of your personal gear in your own pack. Rentals are not available on this expedition. How much should I budget for tips and other expenses? Tipping is much appreciated but not mandatory. Average tips for the lead guide range from $6-$8 USD per day, and $2-$5 for the assistant guides/porters. You should plan on bringing about $150 - $200 USD for tips, food, and other expenses, more if you wish to purchase souvenirs. It is important to receive required (or recommended) vaccinations before traveling abroad. Check with your physician and the CDC's recommendations for Colombia here. Can I create a custom departure? Custom departures are available for groups of 2 or more for $1695 per person. If interested, please email us.